Click the flyer for a link to buy tickets/more show info. Univision also did a great piece on the group which can be found here. The photography and films of B+ and Coleman. @ Peek Gallery at The Summit, 780 Valencia St, San Francisco. Part of Noise Pop. 3.11.11 Special Announcement : “Creating Memory is Our Weapon” Photo Exhibition Postponed. 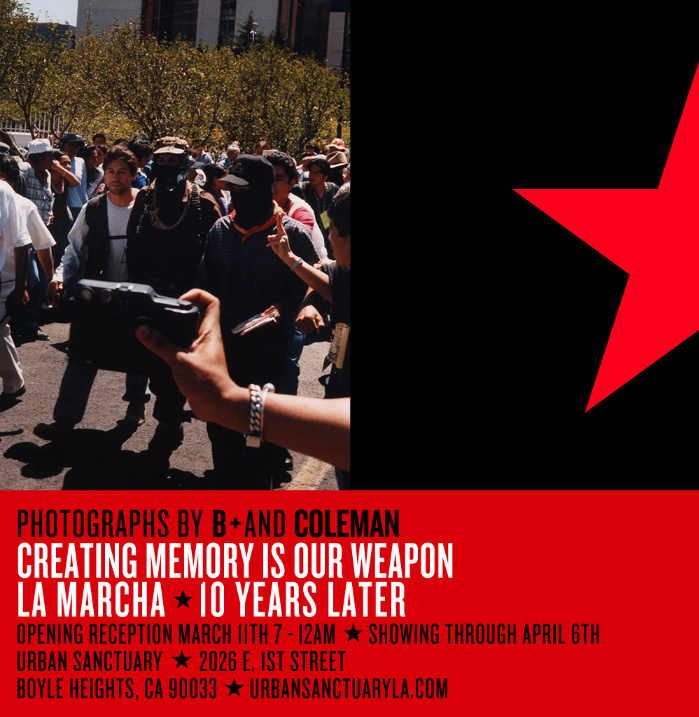 It is with great sadness that we announce the postponement of the “Creating Memory is our Weapon” Show at the Urban Sanctuary Gallery in Boyle Heights. 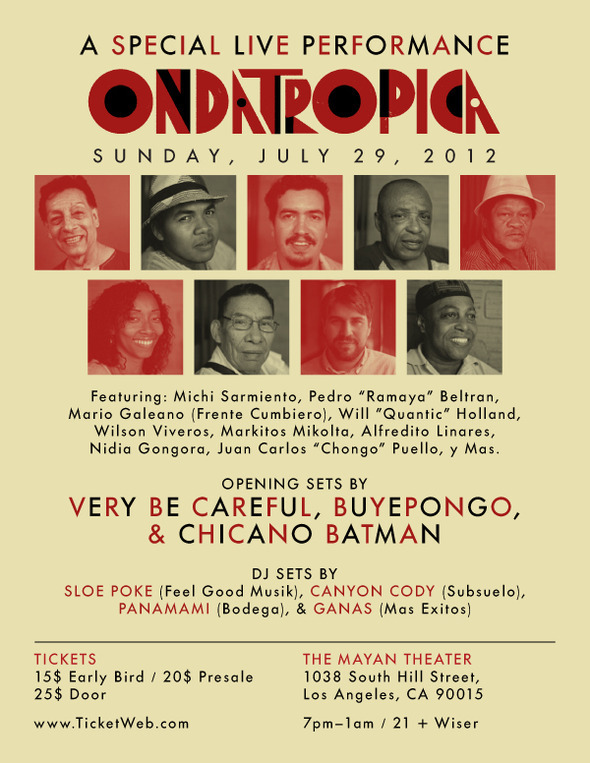 It had always been a dream of ours to have the show in Boyle Heights. Ten years ago we had shown the photographs at the great Frank Sosa’s space on Silverlake Blvd and it was a great honor to be able to bring the photos East, but sadly the local political terrain proved too complicated for it to happen at this time. Two days ago it was brought to our attention that several local “artivists” had started a campaign online to boycott the show. Apparently there has been some conflict locally with the management of Urban Sanctuary. We have spent the past 48 hours trying to negotiate a settlement that would allow the show to continue – but in the end with threats looming and an extraordinary amount of anger being expressed we decided to postpone the show until we are able to honor the memory of the Marcha in a more clear environment. It was never our intention to inflame local anger, to incite a boycott or indeed to put our constituency on any side of a local conflict. Zappatismo has plenty to do with local conflicts but not in this way. Please accept our humblest apologies if this in any way affects your plans for tonight. Let me also take this opportunity to thank Azul 213, Rona Mercado and our own Rocio Contreras for the huge amount of work they put into this show. We will all reap the rewards of this show in a less contentious space at a later date. 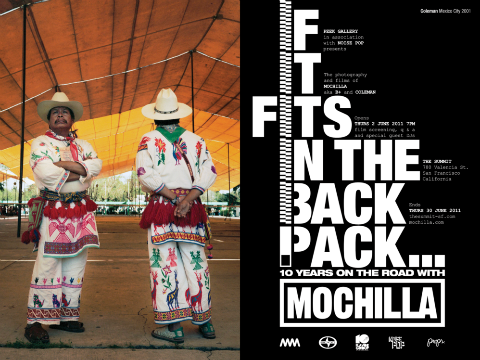 213* & Mochilla are pleased to announce “La Marcha” photo exhibition. This show is the second in a three part series being curated by Azul 213 held at Urban Sanctuary Gallery in Boyle Heights on March 11th, 2011. On Feb. 25 2001, the leaders of the insurgent Indian people of Chiapas launched a two-week mass march on Mexico City to remobilize and extend mass support for the demands of those sections of the Mexican population who have suffered most from the world capitalist offensive-the indigenous peoples. Twenty three commandantes and one sub-commandante left the autonomous mountains of South East Mexico to travel to the Federal District of Mexico City with three demands: 1. To seek approval of the Indigenous Bill of Rights. 2. To seek the withdrawal of seven military bases from indigenous land and 3. To seek the release of all remaining EZLN prisoners. On the eleventh of March they walked onto a platform in the Zocalo (Mexico City’s picturesque town square) to see one million Mexicans cheer them and offer support and solidarity. Having secured the support of the National Indigenous Council, the Zapatistas took the city with delegates from forty four of Mexico’s fifty seven indigenous nations. We’re honestly so thankful and amazed that we have customers in Brasil…Mochilla will be screening Timeless in São Paulo February 9th, 10th, 11th and in Rio De Janiero Feb 16th, 17th, 18th, hope you can make it out! (click image to enlarge each flyer). Mochilla has had the opportunity to visit Lebanon and Jordan twice within the past year, as well as Egypt most recently. We were invited by our friends Nasser Kalaji and Laith Majali of Immortal Entertainment to play our music in Beirut and Amman, and to experience for ourselves how life is at this incredible cultural crossroads. To say that we have been astonished, amazed, shocked, gratified and humbled is to put things mildly. We have only begun to scratch the deep surface of this world, and yet so many things have been revealed already. It is sometimes easy to forget that Timeless is the brainchild of two photographers and a promoter. But for those lucky enough to see the shows live there was always photographs there to remind you. 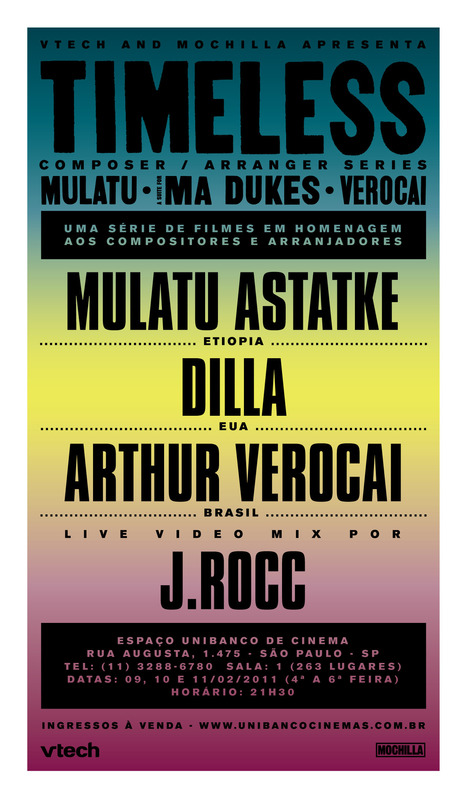 For Verocai we had an amazing slide show of a recent trip to the North East of Brasil, Suite for Ma Dukes was presented complete with a tough look at Dilla’s Detroit and of course Mulatu’s show was resplendent with a slide show of Ethiopian photographs. 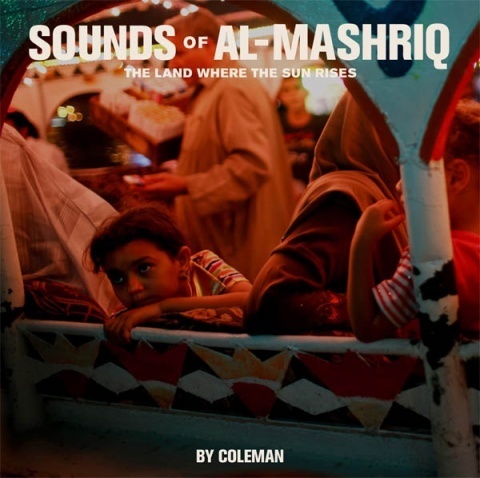 In 2004, Miles Cleret of Soundway Records, Will “Quantic” Holland and B+ spent three weeks in Ethiopia. The plan was to meet Mulatu and dig for records. B+ shot some 120 rolls of film and the best of that is represented here. The music is an exclusive track from the concert that didn’t make the film. “Ene Alantchi Alnorem” is a languid beautiful song of longing. This slideshow along with lots of other treats are contained on the DVD. 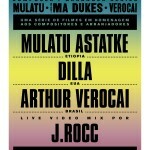 One the eve of the Verocai Timeless Concert Series show, DJ Nuts was supposed to perform with Madlib. He made the arduous journey from Brasil after completing a show with Marcelo D2. He endured a punishing series of flights that took 20 hours to complete, and in the end, a plane delay caused him to miss his own set at the start of the show. 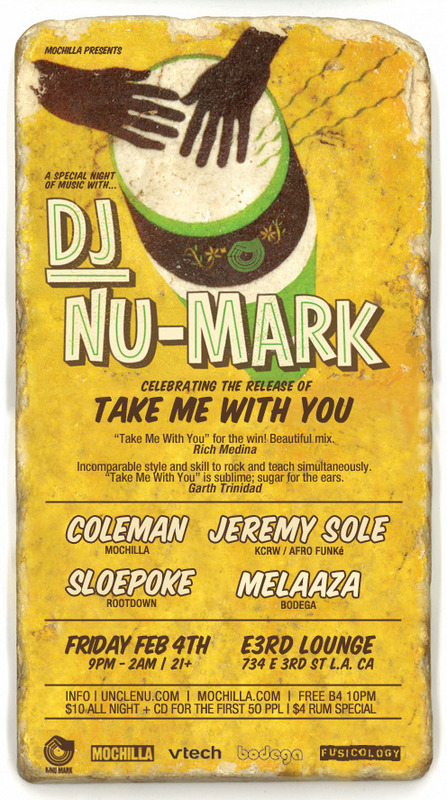 In a pinch, J. Rocc stepped up to the plate and performed a stellar set at the Luckman in his place, and Nuts went on to DJ a mind-blowing two hour set at the after-party. 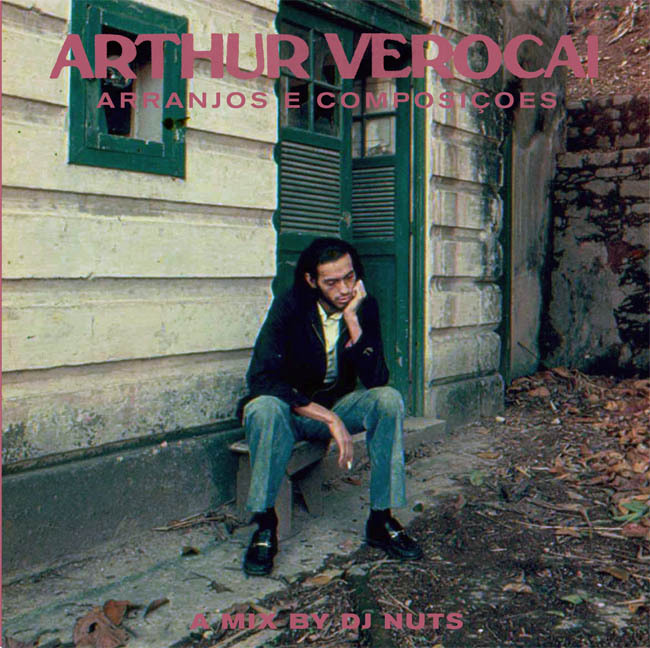 So much of Mochilla’s dealings in Brasil would not have been possible without Rodrigo Teixera (known to the world as DJ Nuts). The Verocai concert surely would never have happened without him. His role in helping with the pre and post coordination was enormous. 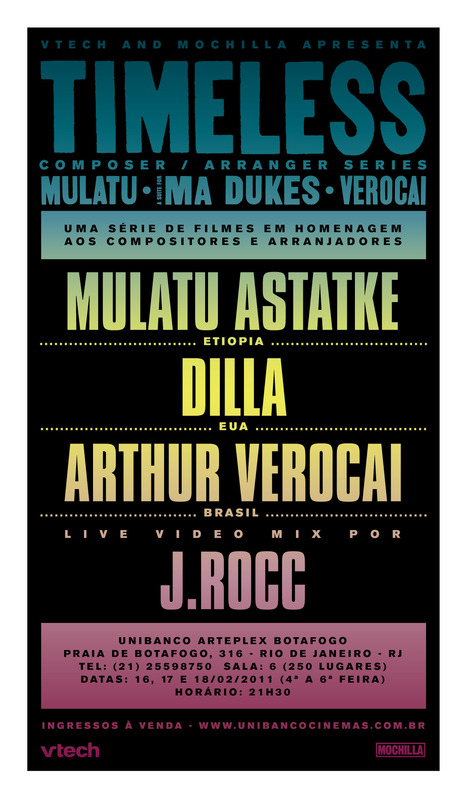 DJ Nuts is an astute and rigorous historian of Brasil’s vast and varied musical culture. His record collection is legendary; his skills as a DJ are world class. 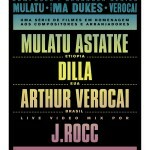 Mochilla commissioned him to make this mix to help people understand the extraordinary legacy of Verocai. Many by now know Verocai’s self-titled album, some even know the more popular compositions and arrangements, but none have dug as hard as Nuts. Years of collecting and a strong friendship with Verocai himself have made this historic mix possible. 78 minutes of all Verocai compositions and arrangements is a dream come true.